This is a cutting edge kettlebell workout. It hasn’t made it to my rotation yet, but will be looking forward to working out with it. This is more of an advanced kettlebell workout. I think it would be too hard for a beginner. 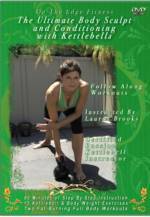 Since I’ve been collecting Lauren Brooks DVDs I truly enjoyed every moment that, Kettlebell Revelation is one of my top favorites. Fat Burning Workout that I’m addicted to and I loved it! Please keep it up and thank you very much, Lauren. Kettlebells are the most effective workout I’ve ever done in the 28 years I’ve been exercising regularly, and Lauren Brooks’ dvds are the by far the best Kettlebell workout dvds I’ve purchased (have about 6 others). This latest addition to her library is as excellent as all her others-fun, effective and time efficient. Lauren has a real talent that is head and shoulders above the rest, taking what seem like simple kettlebell moves, applying her magic, and turning them into a super effective, really fun workout. Thank you Lauren! For reference, I am in my forties, have been training forever, am a recovering cardio addict and love KB training. 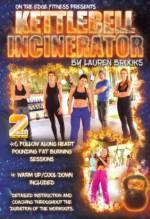 This is an excellent DVD consisting of two circuits, an abs workout and a finisher. As always, Lauren gives excellent pointers (Which I use when I am training on my own and have been very helpful). She also provides instruction on proper form and is very motivating. The tempo is slower, and the reps lower, which really allows you to focus on form. You can always add on the finisher if you want to amp it up. Excellent workouts! If you are in the market for solid, fun, effective training sessions, this is the DVD to get. Thanks Lauren!